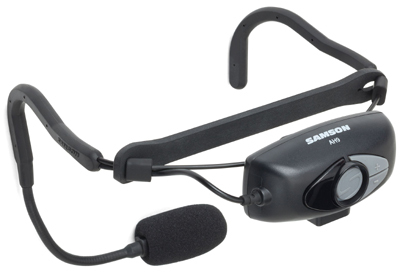 Click the button below to add the Samson AirLine 99m AH9 Micro UHF Wireless COMBO System with Sweat-Resistant QE Fitness Headset - D Band - 542–566MHz to your wish list. Now Shipping: Samson AirLine 99m AH9 Micro UHF Wireless Systems! 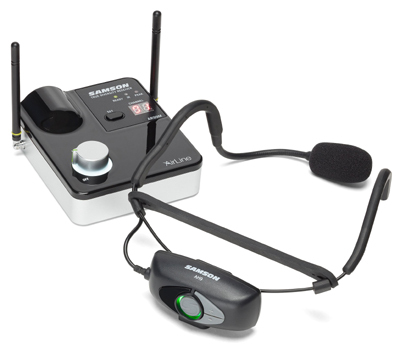 The Samson AirLine 99m AH9 systems are unique wireless microphone solutions designed to meet the specific demands of active performers and presenters. 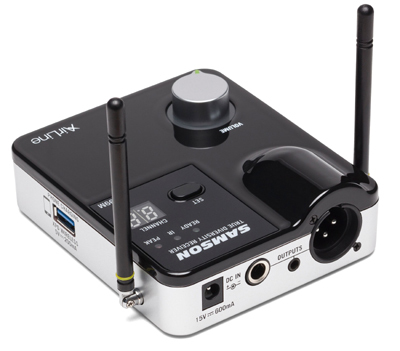 These frequency-agile UHF wireless systems combine the AH9 micro transmitter and AR99m micro receiver for highly-portable, rechargeable setups that offers high-definition sound completely free of cables and beltpacks. Offering frequency-agile UHF operation, the micro-sized True RF Diversity AR99m receiver provides 100 available channels of secure reliable wireless performance.